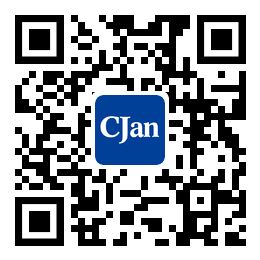 ﻿ The Causes for the Corrosion of Flexible Hose Pipes - CJan Fluid Technology Co., Ltd.
After the metal reacting with oxygen in the atmosphere, it will form an oxide film on the surface of the metal. It continues to oxidize after forming ferric oxide on the ordinary carbon steel, causing corrosion which continuing to expand and eventually form voids. Electroplating by coating or oxidizing metals (e.g., zinc, nickel, and chromium) can ensure the surface of carbon steel, but, as everyone knows, this kind of protection is only a thin film. If the protective layer is damaged, the steel begins to rust. The corrosion resistance of stainless steel tubing depends on the content of chromium. When the amount of chromium is added up to 10.5%, the atmospheric corrosion resistance of steel increases remarkably. When the content of chromium is higher, the corrosion resistance can be improved, but it is not obvious. The reason is that alloying of steel with chromium changes the type of surface oxide to a surface oxide similar to that of pure chromium metal. This close adhesion chromium oxide protects surface, and prevent further oxidation. This oxide layer is extremely thin, through it you can see the natural burnish of stainless steel surface, make the stainless steel has unique surface. Moreover, if the surface is damaged, the exposed steel surface will react with the atmosphere for self repair and reform the "passive film" and continue to play a protective role.